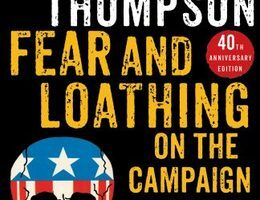 Fear and Loathing: On the Campaign Trail '72 is a 1973 book that recounts and analyzes the 1972 presidential campaign in which Richard Nixon was re-elected President of the United States. 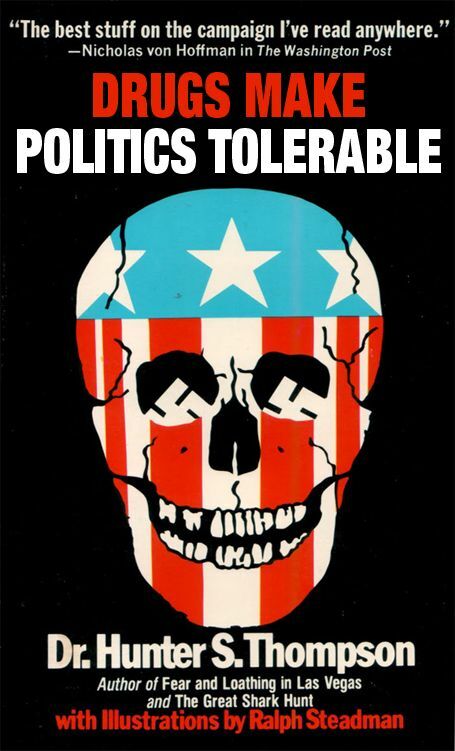 Written by Hunter S. Thompson and illustrated by Ralph Steadman , the book was largely derived from articles serialized in Rolling Stone throughout 1972.... From the Publisher: Hilarious, terrifying, insightful, and compulsively readable, these are the articles that Hunter S. Thompson wrote for Rolling Stone magazine while covering the 1972 election campaign of President Richard M. Nixon and his unsuccessful opponent, Senator George S. McGovern. 13/02/2017 · Hunter Stockton Thompson (July 18, 1937 -- February 20, 2017) was an American journalist and author. About the book: . Find helpful customer reviews and review ratings for Fear and Loathing on the Campaign Trail '72 at Amazon.com. Read honest and unbiased product reviews from our users.